The failure of so many agricultural interventions and projects by government and donors cannot be ascribed to an inherent resistance of small farmers to change. The efficiency of rural transport is important for improving financial and time costs in the delivery of produce and for reducing post-harvest losses. Migration and trade are two sides of the same coin: globalization. Migration preceded trade in the history of humanity, but trade preceded migration in the history of multilateralism. "We promote a paradigm shift in development assistance towards the priorities of the local economy in Africa through technology, innovation and entrepreneurship." 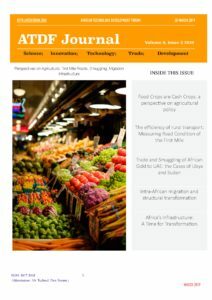 ATDF Journals combine the dissemination of new and relevant knowledge for African entrepreneurs and policymakers with practical application on the ground. 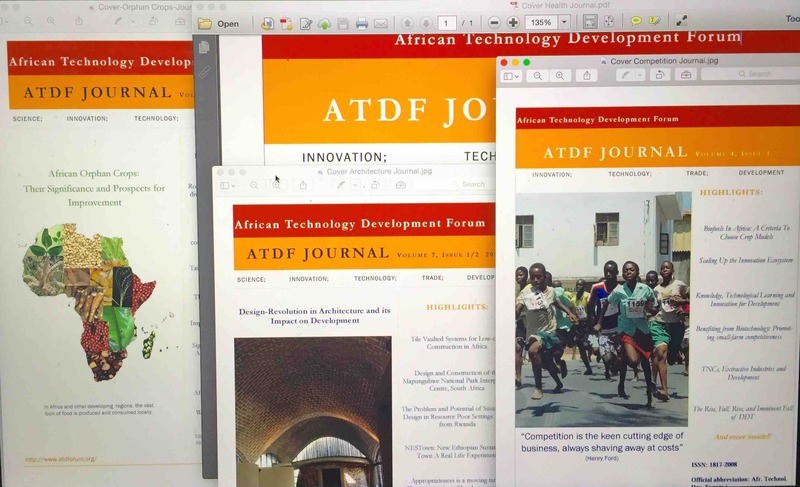 Subscribe on ATDF online to recieve our Journals. "ATDF facilitates exchange between Africa's entrepreneurs to promote technology, innovation and economic development.